Your number one source for font related information on GTAForums. Looking for a specific font that's used in a image? Use one of the tools below. If you don't find what you're looking for, post the image in question and ask for assistance. The list below includes a handful or more of the best places on the internet to find the perfect font you're looking for. Hey post this up in the useful links. hopefully you topic will get off the ground better than mine. Don't forget Dafont.com, which I find to be an amazing site when it comes to free fonts. As well as being well organized, there is a helpful features which allows you to preview text in any font you wish before you download just to give you an idea. 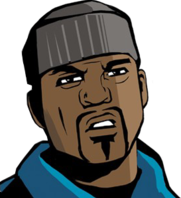 @gta_talk: Sorry man, I totally forgot about the topic you made. You put a lot of great effort in to it. @Masterkraft: Thanks for your input. I know content is low but I'm gonna work on something decent to have up over the next couple of weeks. The Droogs, Finally real rapists on the scene. I love browsing dafont, i've found some really cool fonts from there. hopefully, this thread will serve as a pretty useful directory. Wooooooooooooow this topic is so coool!!!! I love Dafont they have best things to make letters I come here back everyday men!!!!! I don't know how long I've been looking for, but does anyone have a rough clue as to what the GTA2 font is? The main logo font. Thanks for your imput guys. I was looking for a graffiti for a while. What a nice topic you have ! A great site for identifying fonts. Sure, it asks you a lot of questions, but they are easy to understand and have picture examples. You can even tell it what characters can you see (and it will only ask questions about those characters). Thanks for posting that, it has helped me out a lot already. Awesome site! Double post I know, no need to point that out but I need help with a font. What font is used to write 'the tonight show'? Neutraface No. 2 is the closest I could find (try the inline style), the S is wrong though. Thanks, I can see that the S and the G are not the same but those might be custom ones. Thanks for your effort. Can someone tell me with what font is Ballad of Gay tony written in? 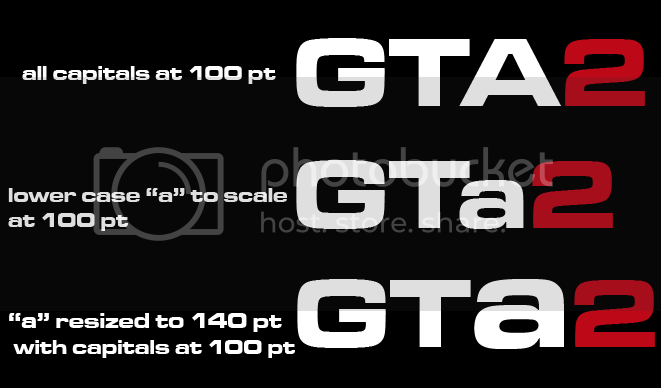 The font used in the logo of GTA2 is "Microgramma D Bold"
Since the logo of GTA2 uses the lower case "a" as a capital here is a quick guide to how to size it up correctly. Bumpety bump. Just trying to keep this topic alive. You sir, are a f*cking legend. Been after that for TOO long. Everyone who hasn't heard of Fontstruct should definitely check it out. I'd like to see what some of the gtaf graphics people can do with it. I have been using it for a long time now, click here to see the fonts I've made. They're mostly crap, but some of the other people on that site are awesome. I've heard of it but never got it though. Your fonts look sick. I'm going to give a try now. I managed to make this. I didn't put much effort into it since it's my first but I'll become better, I guess. I tried downloading it from a site but it's a .ai file and it seem to be only compatible with the likes of Illustrator which I dont have at the moment and no with Photoshop. Or could I possible convert the file to something compatable with Photoshop. I tried and it doesn't let me convert. Illustrator seems to be the only program it s compatible with. cant deny im not partial to a bottle or 2 myself though haha! @CleOdy:Haha. I love it. 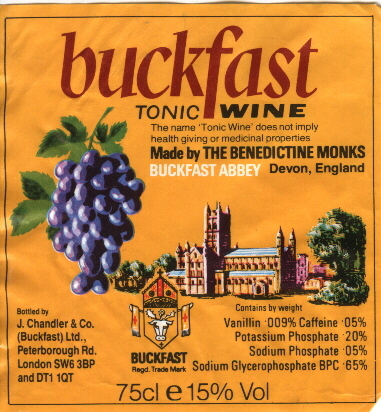 Buckfast gets you f*cked-fast.